PTE WM KERR 9TH B.W. William Smart Kerr was born on 18th May 1895 at 6 Royal Park Place, Edinburgh, the third of a family of six born to William Kerr, a journeyman joiner from Baldernock, Stirlingshire and Alice Wood, from England, who had married in Rivington, Lancaster on 12th March 1892. In 1891, William Kerr had been working in Chorley, Lancaster and was lodging with the Gibson family. In 1901 William (42), Alice (38), and five children including William junior (5), were living in 19 Caledonia Street, Paisley. William was a foreman joiner. In 1911 the Kerr family was living in 1 Whitehaugh Street, Paisley. Alice was head of the household on census night, eldest son John was a student teacher, James a naval architect in a shipbuilding yard, and William junior (15) was a Post Office messenger. 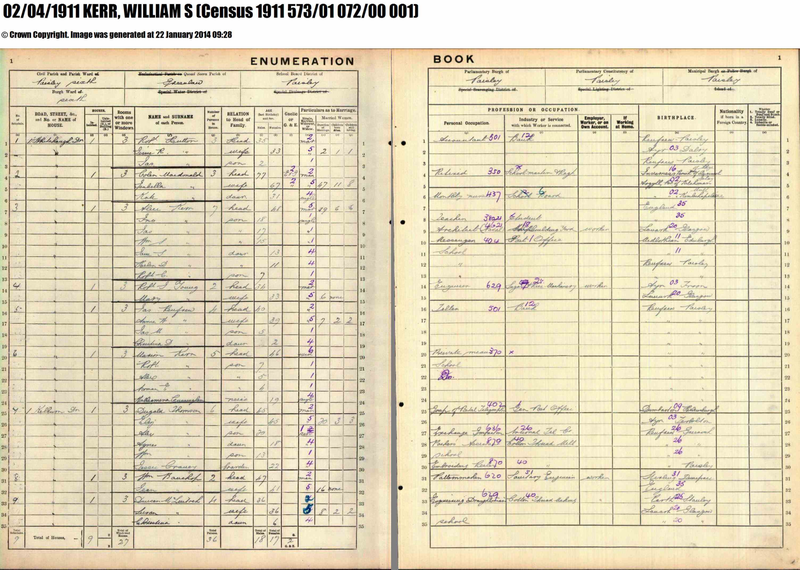 Although William senior was not in the family home that night, Alice is not listed as a widow. 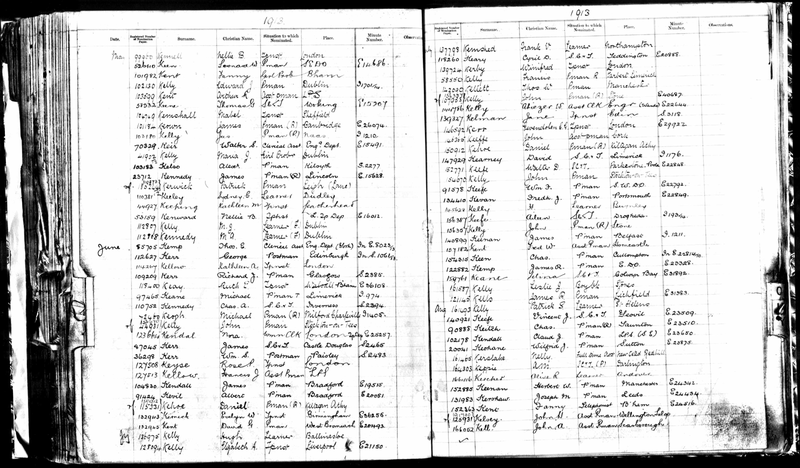 In November 1911 William is listed in the 1911 Post Office employment register as an Assistant Postman in Paisley. In June 1913 he was promoted to Postman, still attached to Paisley. William Kerr junior became a postman in Bridge of Weir and enlisted there as a Private in the Black Watch. He first joined the theatre of war in France on 14th July 1915. The memorial and newspaper reports identify him with the 9th Battalion. His Commonwealth War Grave Certificate, and UK Soldiers Died in the Great War, both place him at the time of his death in the 1st/7th (Fife) Battalion Black Watch. The timing of his transfer from the 9th to the 1st/7th Battalion is as yet unknown. Both battalions were involved in major battles. The 9th saw its first active service at the Battle of Loos in September 1915 as part of the 15th (Scottish) Division when it was almost totally wiped out. At fighting strength a battalion had 650 to 750 men and the 9th Black Watch suffered over 700 casualties at Loos. The 8th and 9th battalions of the Black Watch were merged after the Battle of Loos. The 1st/7th Battalion formed part of the 153rd Brigade in the 51st (Highland) Division which was in the Order of Battle for the Somme offensive in 1916. On 24th August 1918, the 51st was supporting the British offensive north of the River Scarpe near Arras and had five successive days of fighting in which it captured the strong points at Roeux, Greenland Hill and Plouvain. The Germans used mustard gas as they retreated and William Kerr suffered severe gas poisoning. Corporal Kerr (his promotion is confirmed on his Medal Index Card) survived over three years of action but died on 29th August 1918. He is buried in Averdoingt, some 15 miles north west of Arras. The cemetery was close to a major Casualty Clearing Station established from three others that had regrouped there after the German advance in April 1918. His death is recorded in the Regimental History of the Black Watch as 7th Battalion. William Smart Kerr birth certificate, 18th May 1895. Regd Edinburgh 6th June 1895. 1891 UK Census: Parish: Chorley: County: Lancaster. Page 46: Line 8. 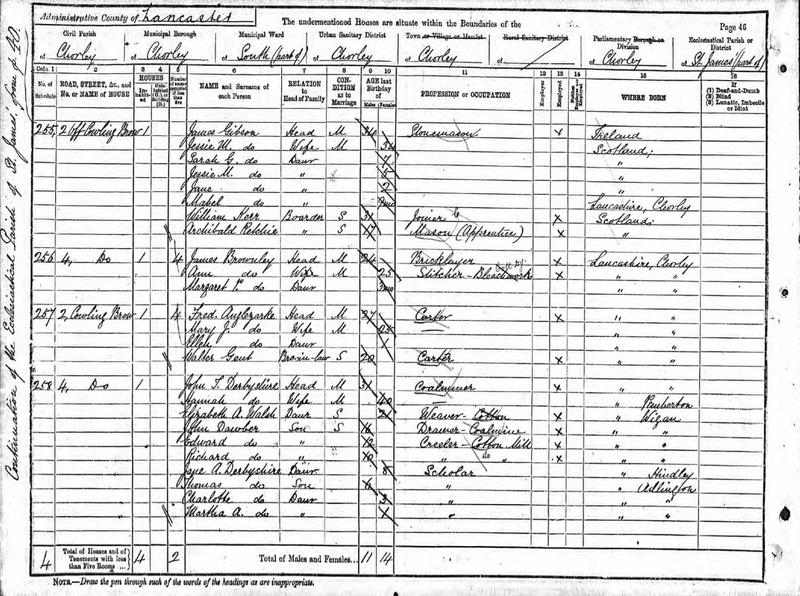 1901 UK Census: Parish: Paisley; ED:51; Page:10; Line:20; Roll: CSSCT1901_207. 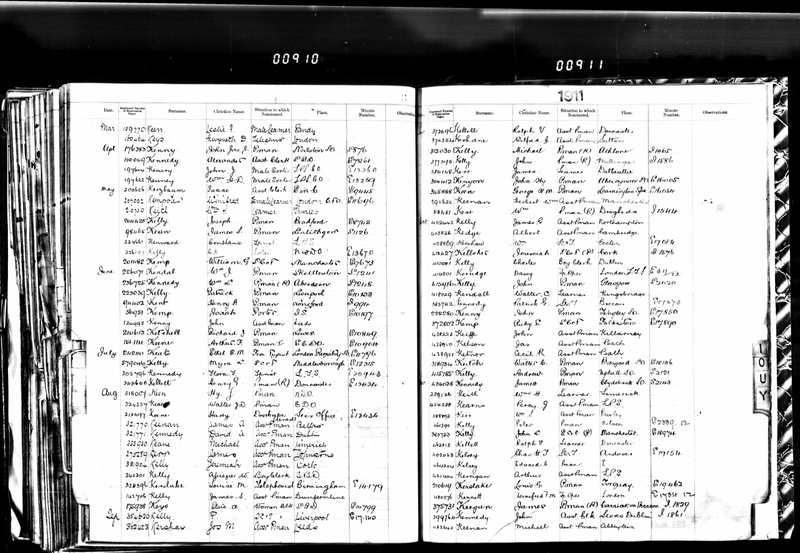 1911 UK Census: Parish: Paisley. Ward: Sixth; . Page 1; lines 7-13. 573/01 072/00 001. Wm S Kerr employment record. November 1911. Assistant postman, Paisley. Wm S Kerr employment record. June 1913. Postman, Paisley. A History of the Black Watch (Royal Highlanders) in the Great War, 1914-1918 - Volume 2. A G Wauchope. 1926. The assault took place at 4.30 a.m. on the 24th, and as A and D companies advanced on left of the Division, No. 10 platoon formed a defensive flank, while on the right D company maintained touch with the 5th Battalion Seaforth Highlanders. The attack was successful in every way, the only check being on the left of the Hyderabad Redoubt, where two officers of A company were killed. On the 28th the Battalion was relieved and moved to Athies, where it remained until September 4th, when it returned to the front line in the Greenland Hill sector, where it spent the remainder of the month. The Battalion Diary lays stress on the fact that during this period the German artillery fire was perhaps the heaviest and most prolonged that was experienced, except, of course, while attacking. The reason may have been that the Germans, having decided on a general retirement, were glad to fire off as much ammunition as they possibly could. The area round Greenland Hill was heavily shelled by day and night with "mustard gas" shells, which caused a good many casualties. 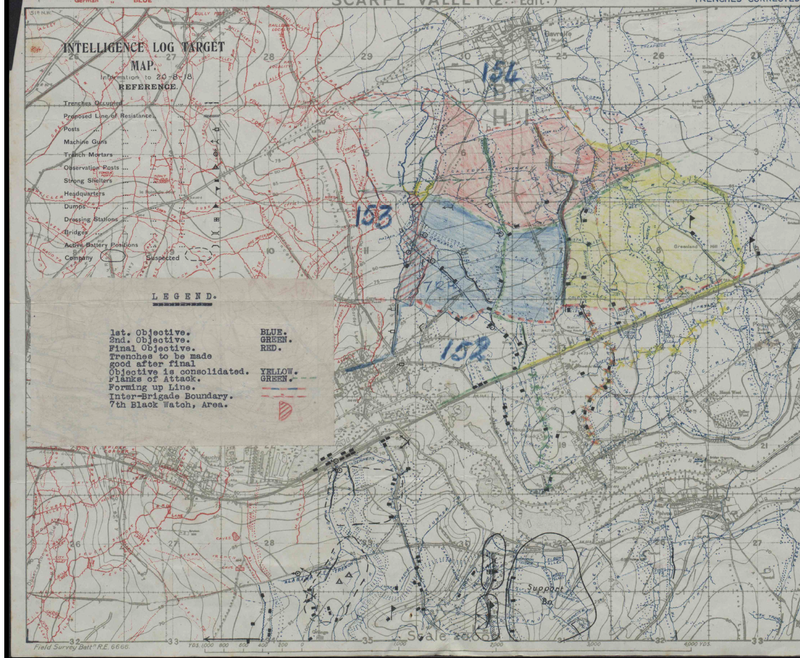 The History of the Fifty First (Highland) Division 1914-1918. F.W. Bewsher. 1920. On the 23rd August patrols reported that the artillery had cut five clear gaps through the wire in front of Pippin, and that the whole belt of wire was considerably damaged. Orders were therefore issued for an attack to be carried out at 4.30 A.M. on 24th August. This operation was also successful. On the right the 7th Black Watch reached both their objectives according to the programme, but on the left a prolonged resistance, chiefly by rifle-fire and bombing, continued until 11 A.M. Even then a pocket of twenty Germans remained holding out in Hyderabad Redoubt, at the northern end of the support trench, until they were dislodged the following morning. Hyderabad Redoubt had an evil reputation in 1917, and still retained it at this time. It was a group of head-quarter dug-outs, situated so that their entrances were connected by a trench roughly in the shape of a triangle. It was perched on the summit of a crest which overlooked Arras and the neighbouring country on one side, and Plouvain and Biache St Vaast on the other. Its numerous dug-outs made it capable of prolonged resistance, while when it was captured it became a target for every gun in the neighbourhood. 22nd September 1918: AROUND THE COUNTRY: Many Bridge of Weir people will learn with regret of the death in France of a former village postman, Corporal William S Kerr, Black Watch. He was admitted to a casualty clearing station suffering from severe gas poisoning, and died there on August 29th. Although belonging to Paisley, his duties made him well known in the village, where his genial and obliging disposition earned him the friendship of many and respect of all. 7th June 1919: BRIDGE OF WEIR: Two of the five postmen, who were all in service, have resumed their duties, another two made the supreme sacrifice, while one still remains in service. 14th June 1919: BRIDGE OF WEIR: In Bridge of Weir news last week, it was stated that two Post Office employees had returned from the Army to resume work and two had made the supreme sacrifice. Three postmen have fallen in the war, viz: Private William Kerr, 9th Black Watch, Private William McKenzie, 9th Black Watch, and Private William Blackley, HLI.